Pre-Athletic Training courses teach you the basics of injury evaluation, immediate care, rehabilitative therapies and measures to prevent injuries. Our Pre-Athletic Training program prepares you to continue your education in an entry level athletic training master's degree program. 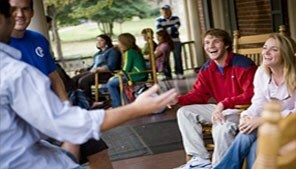 At Roanoke, you'll engage in real-world learning experiences under the supervision of top experts in sports medicine. 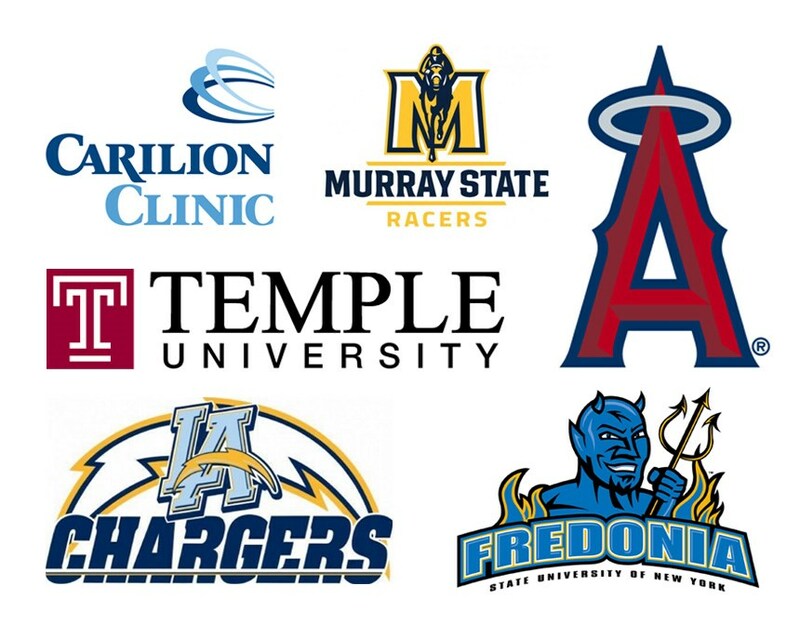 Recent athletic training students have completed internships with orthopedic surgery units, hospital emergency rooms, high school and university athletic departments and physical therapy practices. As a professional athletic trainer, you'll be able to care for athletes in a wide variety of settings, from high schools and college athletic programs to sports medicine clinics and professional sports teams. To practice as an athletic trainer and become certified by the athletic training Board of Certification (BOC), students must complete an accredited athletic training master's degree program and pass the BOC examination. Students interested in Athletic Training major in Health & Exercise Science. Erik Wikstrom's education and career path led him to discover something new every step of the way. 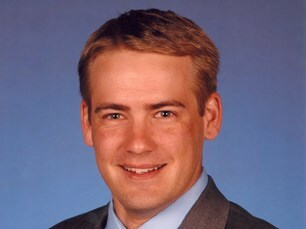 In high school, he developed an interest in sports and sports medicine. When it was time to choose a college, Wikstrom didn't know if he had the playing skills to excel in sports at the collegiate level, but he knew he wanted to pursue his interests. He chose Roanoke College where received a B.S. degree in athletic training. During his Ph.D. work at the University of Florida, he made another discovery - he had a zeal for research. That passion has paid off. He recently was awarded the National Athletic Trainers' Association Research & Education Foundation's Doctoral Dissertation Award. When viewing with a phone or tablet (recommended, requires Youtube app), hold the device out in front of you and turn your body to look in all directions. When using a desktop computer, click and drag the mouse inside the video to look in all directions. Dr. Michael Maina won the Virginia College/University Physical Educator of the year award in 2014. The award is based on teaching effectiveness, professional growth and development and a commitment to helping students achieve both personal and professional goals. Note: Athletic Training programs at the undergraduate level are being phased out by the accrediting body CAATE (Commission on Accreditation of Athletic Training Education). 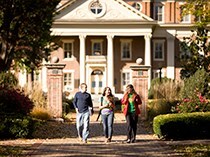 Roanoke College's last cohort eligible for this major is the class graduating in May 2020. 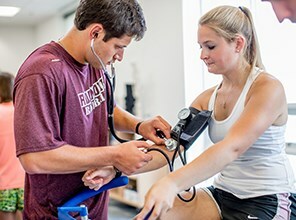 Students interested in pursuing a career in athletic training are encouraged to participate in Roanoke's Pre-Athletic Training program and major in Health & Exercise Science.